Bela Lugosi photographed by Roman Freulich in the 1930s. 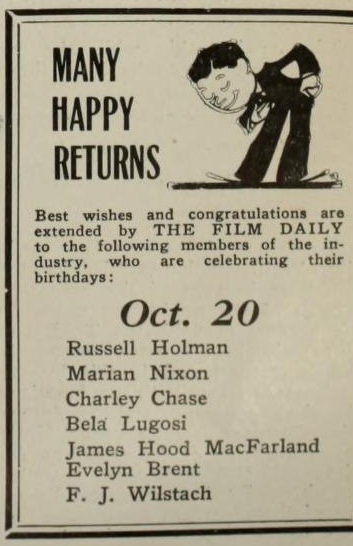 In a letter to notable actors and artists now in Hollywood, Bela Lugosi is urging their cooperation in the civic theatre movement in Los Angeles. Although Lugosi is not officially associated with the repertory theatre here, his interest in it comes from experience he has had with similar enterprises in Europe. His letter expresses the opinion that the future of drama in America is closely dependent upon these civic theatre movements. Although he is now engaged in the screen production of Dracula at Universal, a role he had played several thousand times on the stage, he has volunteered his services to the civic theatre group to the extent of his ability.